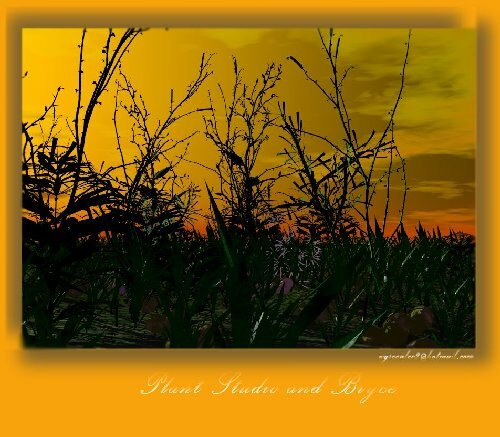 This pic was made with fictious grass and plants I made and also some free stuff from this site, rendered in Bryce with the plants being the center of attention. Updated: July 30, 2001. Questions/comments on site to webmaster@kurtz-fernhout.com.